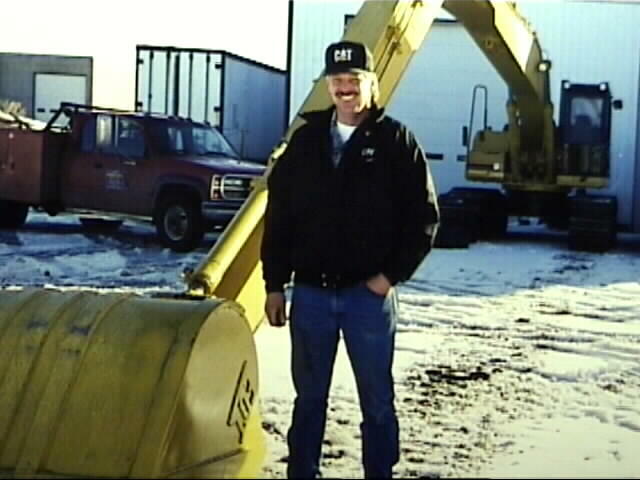 Wayne does all kinds of work with this excavator, including land reclamation, dugouts, river dredging, landscaping and even urban work such as basements, gas station gas tank installations ("The longreach just reaches over the gas station"). "I've used depth monitors on my longreach excavators since 1996 with great success. This device should come standard on excavators. The new ExcaVision from Ocala Instruments practically eliminates the job of the grade checker. It still delivers higher quality work with or without laser as reference." I am considering upgrading it to the GPS version.